Welcome to the Santos Lab! Dr. Miguel Ramalho-Santos is Canada 150 Research Chair in Developmental Epigenetics, Senior Investigator at the Lunenfeld-Tanenbaum Research Institute and Professor in the Department of Molecular Genetics at the University of Toronto, Canada. Conrad Waddington was a prominent British biologist of the early twentieth century. In the 40’s and 50’s, he proposed the “epigenetic landscape” depicted here as a metaphor for the development of an embryo. The shape of the landscape is determined by the activity of genes. He envisioned that early unspecialized cells (what we would call today pluripotent stem cells), become more differentiated over time by being guided by the epigenetic landscape to different lineages (valleys). Ridges would be barriers to the cells crossing over from one fate to another. 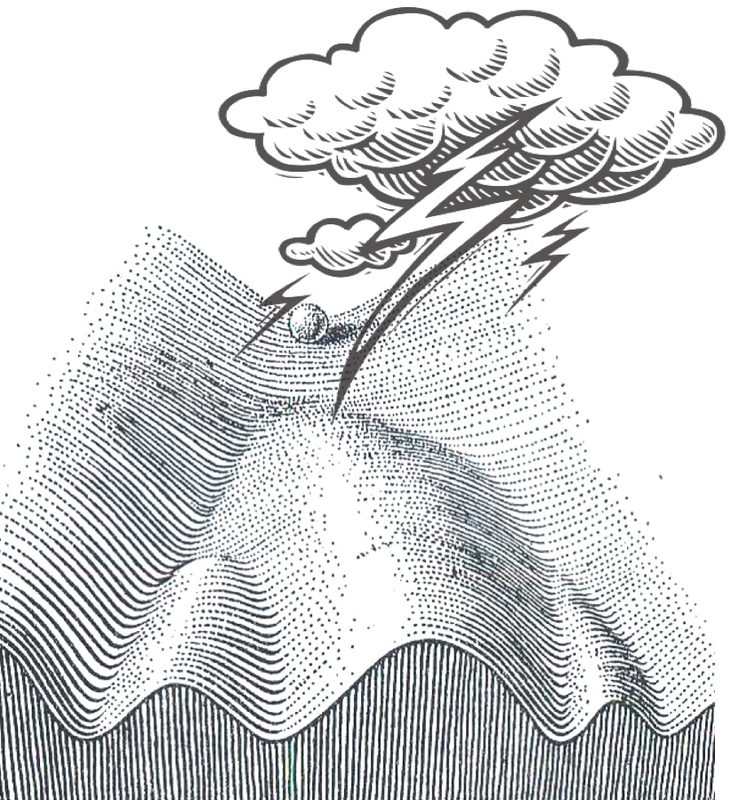 Our lab is interested in how genes shape the epigenetic landscape, how the landscape guides cellular differentiation, and how the environment (our added stormy cloud) can impact the developmental trajectory of cells.